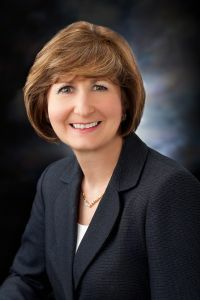 Marilyn S. Sims - Weycer, Kaplan, Pulaski & Zuber, P.C. Attorney - Weycer, Kaplan, Pulaski & Zuber, P.C. Ms. Sims concentrates her practice in the areas of estate and business planning, advising clients and preparing estate, asset protection and business plans, by creating the related documentation and entities for our clients ranging from very small to forty million dollar estates. Representative documentation in the estate planning area includes wills, living wills, general durable powers of attorney, medical powers of attorney, specific powers of attorney, living trusts, life insurance trusts, education trusts, children's trusts, supplemental needs trusts, family limited partnerships, charitable giving plans, guardian designations, disposition arrangements, beneficiary designations on non-probate assets, pre-marital and post-marital agreements, partition and transmutation agreements, and various other related planning and property agreements. Her practice in the probate area includes probate of wills, administration of estates, heirship proceedings, guardianship proceedings (both minors and incapacitated persons), fiduciary and beneficiary representation, and she acts as a court appointed administrator, ad litem and guardian of estates. In addition, Ms. Sims assists her clients with the formation of all types of business entities including limited partnerships, family limited partnerships, general partnerships, joint ventures, corporations, limited liability companies, professional corporations and associations, as well as non-profit corporations, discussing the advantages and disadvantages (with regard to liability, tax and administrative costs) of each type of structure. She further prepares organizational and annual documentation and ancillary agreements related to the entity structure, including buy-sell agreements, salary continuation and benefits agreements, licensing agreements, franchise agreements, private debenture offerings, and negotiations and documentation of the sale or merger of our clients' businesses. In the area of real estate, Ms. Sims assists our clients in the acquisition, sale, development, leasing, financing, and foreclosure of real property, as well as negotiation of contracts and leases related to their properties.